Huddersfield Town welcome Liverpool to the John Smith’s Stadium on Tuesday night. Will it be the Terriers or the Reds celebrating when the full-time whistle blows? Don't miss our Huddersfield vs Liverpool betting preview with predictions, betting tips, lineups, team news, odds, bookmakers promotions and no deposit free bets on this clash! Get 25/1 Liverpool to beat West Brom! 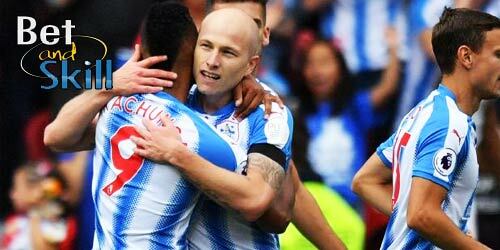 Huddersfield enjoyed a promising start to life in the top flight, but over the past couple of months their form has nose-dived and. They are winless in the last six Premier League games - losing each of their last three - and are now only three points above the bottom three. David Wagner's men come into the game on the back of a 1-1 draw against Birmingham in the FA Cup and a 2-0 away defeat at Stoke City last weekend. The Terriers were soundly beaten 3-0 in the reverse fixture back in October. The host have no fresh injury worries, but Elias Kachunga and Jon Gorenc Stankovic remain long-term absentees. Martin Kranie, Terence Kongolo and Danny Williams are doubtful but they were not expected to start anyway. Jonas Lössl is expected to return in goal after Joel Coleman started in FA Cup. Up front, Laurent Depoitre should spearhead the attack, with Rajiv Van La Parra, Alex Pritchard and Tom Ince forming the offensive midfield trio. Aaron Mooy and Jonathan Hogg should start in the middle of the park. Liverpool became the first team to beat Manchester City in Premier League this season but since then they lost at bottom-of-the-table Swansea - ending a 14-match unbeaten run in the league - and were knocked out of the FA Cup as they lost 1-4 at home against West Brom at the weekend. Their defensive frailty was exposed once again despite the signed Virgil Van Dijk for a whopping £75M fee earlier this month. The Reds have won five of their last seven on the road in the Premier League but have managed only two clean sheets on the travels in the top flight this season. Jordan Henderson is expected to return to the starting XI but James Milner is a doubt due to a dead leg. Ragnar Klavan and Adam Lallana will both miss out for the away side while Daniel Sturridge is very close to move to WBA. Loris Karius and Simon Mignolet are in contention for the goalkeeper position, while the likes of Joe Gomez, Andrew Robertson, Virgil Van Dijk and Joel Matip should form the four man backline. Mo Salah, Roberto Fimino and Sadio Manè will start in attack, with Dominic Solanke and Danny Ings providing alternatives. "Huddersfield vs Liverpool predictions, betting tips, lineups and free bets (Premier League - 30.1.2018)"